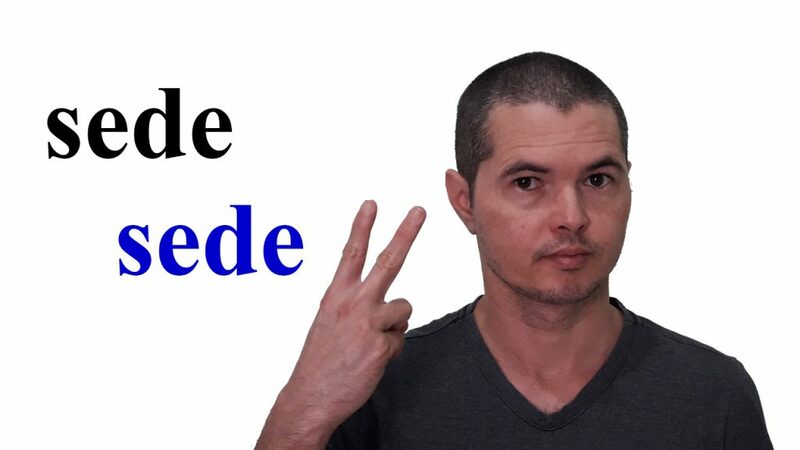 Did you know that the Portuguese word SEDE has 2 pronunciations and 2 meanings? Just like in English, Portuguese has words that are spelled the same but pronounced differently. – Eu estou com sede. Notice that this “e” is similar to the “e” in they. But if you pronounce it open, as in pet, the meaning changes: headquarters. – A sede de nosso banco é em Brasília.